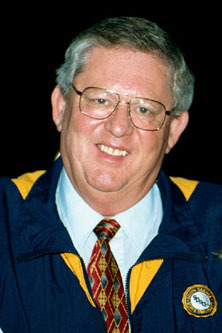 As Governor of South Dakota, Bill Janklow had a reputation for being tough on crime. He gave the state's Department of Corrections responsibility for handling juvenile offenders as well as adults, and had a state services center for the developmentally disabled closed and converted into a boot camp and youth detention program for troubled youth. He also gave an executive pardon to his son-in-law for three drunken-driving and marijuana-possession convictions. Midway through his first term in the U.S. House of Representatives, he resigned after being convicted of manslaughter for killing Randolph E. Scott, driving 71 in a 55 mile per hour zone. Earlier, in Congressional debate, he had joked about his habit of speeding. He was sentenced to probation, but the judge added a rarely-issued "suspended imposition of sentence", so after Janklow's probation was completed in 2007, the conviction was wiped from his record.